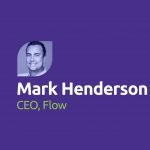 After years of managing marketing budgets at IBM and Nuance, ‘nerd CMO’ Peter Mahoney decided to finally solve the spreadsheet hell experienced by many marketers and create a cloud based solution for managing marketing budgets. The result is Plannuh. 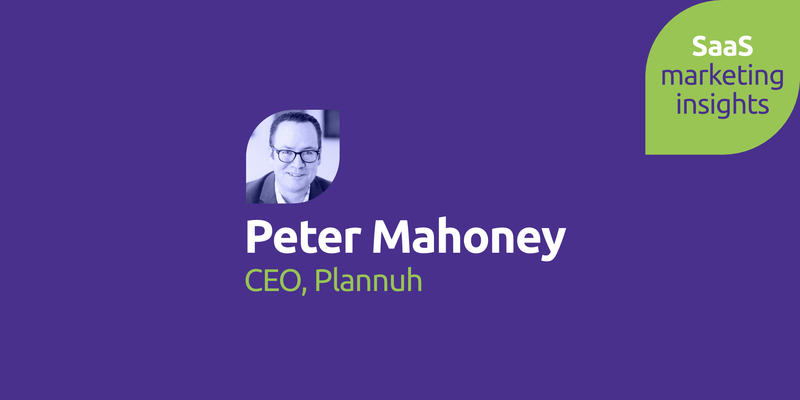 Paul: On today’s show I have an interview with Peter Mahoney, founder and CEO at marketing software Plannuh, hope you enjoy it. I’m here with Peter Mahoney from Plannuh based in Boston and a pretty new business, tell me what you guys are doing? Peter: Yeah, so we’re making a product that does cloud-based management of your marketing budget, so it’s based on a problem that I experienced personally over several decades of struggling with managing spreadsheet after spreadsheet, I decided there had to be a better way so that’s why we built Plannuh. Paul: So this is coming out of your experience as a marketer working with spreadsheets? Peter: That’s right, an interesting thing happens with spreadsheets, they spawn other spreadsheets, it’s like this weird population explosion. So this is how it happens, this will probably be familiar to you. You start with a marketing plan and a marketing plan usually has your business goals, what are you trying to achieve and that ends up in some documents, sometimes it’s a PowerPoint deck, sometimes you put it on a binder and stick it on your shelf. Then after that you create a series, you create a budget and your budget is usually a spreadsheet that’s chunked up into pieces that says I’m going to spend this much on that product line, this much on that particular tactic, this much in that department and then you roll that spreadsheet out to the managers of those individual budgets and then what do they do? They create their own spreadsheets and they’ve got their specific plan that’s in some different format and then they hand it to, they plan an event and they’ve got a different spreadsheet for an event with all the details they’re managing and you’re in spreadsheet hell! So as a result you’ve completely lost the thread between your original business goals in what you’re actually doing and spending so not only are you disconnected from your original intent but you just have no visibility and control into what’s going on, you don’t know what’s committed, what’s been spent already and you’ve just lost everything. That was the problem I experienced and I really wanted to fix. Paul: Fantastic so, we’re here at SaaSter in San Francisco, blue skies, warm, not so warm in Boston? Peter: No it’s a little colder there. 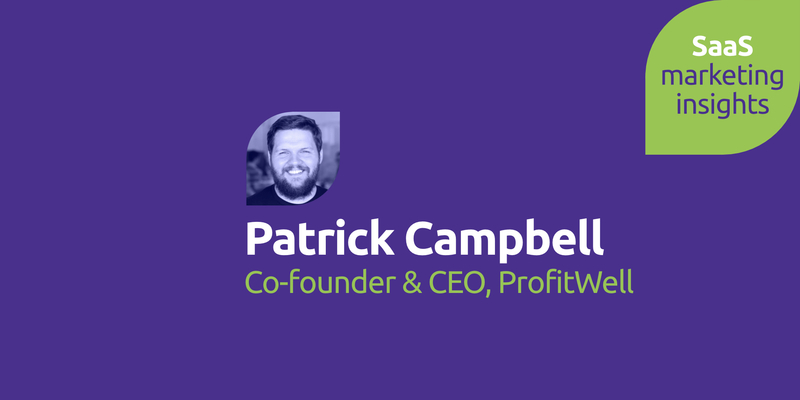 Paul: So is this a solution built particularly for SaaS marketers or any marketers? Peter: it’s really built for any marketer and I’ll tell you, the problem is Universal although we’re trying to be smart and focus our business and we’re really starting to try to solve the problem for small to medium sized organizations at first. The interesting thing that we found is that there are a lot of groups within big companies that are interested because they just don’t have any good tools that are available. However, we’re really starting with small to medium businesses, many kinds of marketers can benefit from the tool. healthcare, people in legal, they’re all over the place. Paul: So there’s a huge, totally addressable market space for this? Peter: Exactly, but we want to focus first so we’re sort of small to medium-sized tech first but really applies to a broad segment of users. Paul: So just thinking a bit more about that, who are the competitors in your space? Paul: But that’s not mass marking. Peter: No that’s not mass market, you use a spreadsheet and frankly you can do a pretty good job with a spreadsheet but it breaks over a certain period of time. Most people, actually about 99% of people as far as I can tell use some form of a spreadsheet. Then there’s some specific products that focus on a category called marketing performance management so there’s some really good solutions from companies like Allocadia, is a nice one, Hive9 makes a product in this area. will adopt solutions like this. So there’s no direct competitor, there are alternatives that people have out there but I I think I’m going after the piece of the market that can’t or won’t deploy a big top-down solution and isn’t satisfied with a spreadsheet and I think there are a lot of people that sit in that category. and you know their biggest problem is understanding spreadsheets, they can do the marketing but sometimes when you’ve got budgeting and stuff like that, old guys like us were brought upon excel. It’s all in Google sheets now and they’re like ‘how do I Drive this?’ so if that’s the solution for that it makes their life a bit easier then yeah because you can get really bogged down in that stuff. marketing as aside because they’re doing multiple things within their company, one of the things that we want to do is add more specific recommendations/advice around what people should do. So part of what we’ve done and the thing that I get excited about having run marketing organizations for a long time, I like helping people be better marketers. So we think of our mission in life is to provide simply, better marketing and simply smarter marketing. Paul: Is that your strap line? Paul: How about ‘we hate spreadsheets’? that compare to companies that look like you but are really successful. Those are the kinds of things that I think are gunna be really valuable. Paul: So is that gunna be some kind of anonymized benchmarking feature? Peter: Absolutely, yeah so the idea is how do you compare to your peers. Paul: Yeah, so is it by sector, revenue spend or budget? time so it’s trivial to get going. We think that we’re gonna get a lot of data that’s going to really benefit our community because they’ll have a better sense of what other people are doing and where they’re seeing success. Paul: That sounds great so you guys at the moment are still in beta, is that right? Paul: That’s fantastic and so when did you guys start out and how long has it taken you to reach this point? Peter: Yeah, it depends on when you think the beginning was right, I’ve been thinking about the problem for years so I’ve been framing out for a while. Paul: So it’s an overnight success, 10 years in the making. it’ll be a little bit over a year of actual hands on keyboard development after we’re done with the specification. Paul: Great, I mean that sounds like a really fast time to me but you know, I guess it has to be. Peter: Yeah I mean it is the way of the world and it’s amazing building products these days because I mean we’re on Amazon Web Services and building the infrastructure to build a product is incredibly fast. So it’s been really quick to get to the point where we could be really productive with our development team building the product out and it really shrinks time to market which is exciting. Of course as a SaaS product being at SaaSter, you have all the advantages of the real-time feedback around what people are using and where they’re getting stuck and you have the ability to to optimize things very quickly on the fly, which has been really exciting. Paul: Fantastic, so we were talking earlier, both saying that it’s our first time at SaaSter, what are you looking to get out of this event, this conference? 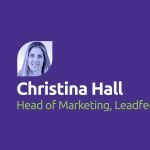 Peter: So I’m looking to get a few things, I am really interested in sorting out how people have driven their growth strategy and growth is a really common theme here at SaaSter. Paul: I think it’s the only theme isn’t it, it’s either grow it or sell it. Peter: Exactly, I’m very much interested in growth and I’ve always been fascinated by the math around growth, I’m kind of a geek by background. Paul: You’re a marketing geek. Paul: Killing the whole thing with complexity. the word out and get a good experience for people and get people just signing up and growing the business then I think we’ll get there very quickly, that’s the idea. Paul: Fantastic, I hope you do and I’m really looking forward to to watching the progress of the businesses as you go through spring and into open beta or launch or whatever, soft launch or whatever you’re calling it. So you’ve got a ton of experience in marketing going way back to, was it IBM where you started out? Peter: Yeah, I started my career at IBM, I spent the last 13 years at a software company called Nuance, they’re people that make voice recognition stuff. Peter: Yeah dictation and health care products and customer service apps. I was the Chief Marketing Officer there, it’s about a two billion dollar, public company and I learned a lot there because during my time there, in 13 years we acquired over 100 companies which is pretty mind-boggling. I had the opportunity to work with lots of different companies who came from different places and all struggled with the same stuff so that’s one of the things that really validated to me the need for what we’re doing. Paul: Must have learnt a lot? Peter: Yeah and it really built on my interest for mentoring and helping marketers to be better marketers and that’s what I really like to do and so that was a great experience. I’ve been doing this for a very long time and really excited to you know, figure out how to take my experience and expertise and codify it, literally. Paul: Yeah, so during that career you must have had some great marketing highs and some fantastic lows, anything you want to share with us that springs to mind, because people always talk up the amazing highs but behind it there’s always a lot of trying and failing. Peter: Exactly, well it’s funny, one of the things that had this combination of high and low for me was, I spent a lot of time running the dragon software business. Dragon is the text directer, end user sale that Nuance made. So I was not only the CMO for the company but the General Manager for that business so I was in charge of that business and I doubled the business over about a four year period which was really exciting. Through a pretty heavy investment and demand generation that the company was very supportive and generous in supporting. lot of holiday sales because people would buy Dragon as a gift, we set up a mall kiosk program where you could give demonstrations and the physical kiosk in the mall and it was a great idea and it was really well executed and it didn’t work at all. Paul: Was that because it’s a noisy environment like this? Peter: No, no that was a really impressive part of it is that it worked really well even in a noisy environment, I think the problem is that it came sort of at a difficult time when people were buying less and less package software, this is right when mobile was starting to take off and apps were starting to take off. I think it just wasn’t a category that spoke to the typical mall viewer. So I think it was probably the wrong target, it was a clever idea to solve a problem of getting the demonstration on people in a new channel but it just didn’t work, didn’t work at all. Paul: At least you tried it. Peter: We did, one of my favorite things that we did is we had a ongoing campaign called ‘I speak dragon’. Which was basically a customer story contest that we ran every year. So every year we ran a contest where our customers would submit a story about the impact that dragon has had on their performance, their life etc. and we would get hundreds and hundreds of these stories. Paul: Yeah, was this incentivized? Peter: It was, the winner won free dragon for life, so it wasn’t, we had a prize but it wasn’t a huge thing. People love to tell their stories and literally we’d be sitting or reading these stories bawling because there are these total, you know emotional tearjerker kind of stories. The productivity stuff was really nice but seeing how it really enabled people with disabilities who couldn’t otherwise participate in life, it was an amazing thing and it created just this incredibly impactful content for us. It showed the value of of leveraging your user community to create really compelling, incredibly genuine, sincere content. So that was one of the favorite things that I did during my career there, that was a lot of fun. Paul: That sounds brilliant, really insightful, I really like the idea and how it was executed and worked. The retail, the mall failure is, you know, that’s what it’s all about isn’t it, unless you try these things you don’t know. Paul: All good marketers do. Peter: Yeah, I think the idea you should always have a challenger right and I think that idea is really important. Paul: Yeah, it is and even more so nowadays. So you’re a busy guy, you’re even busier now then ever I imagine, what is it that you do that allows you to stay mentally fresh, focused, whatever because you can be torn into many pieces, different directions just working hard. How do you cope with that? What coping strategies do you have? Peter: Well it’s interesting because I work a lot and I’m on, my mind is going 24/7 and literally I wake up in the middle of the night and I have my iPhone next to me and I have you know, I’m sending notes to myself about features. So I’m thinking about it all the time I mean, consciously, subconsciously, whatever, it’s just non-stop and it’s funny the difference now from doing my own thing and building my own thing versus working at large companies for a lot of years. It’s all mine so there’s an excitement about it. So, you know, I wish I had a lot of free time, I do love to travel with my wife, we like to hike, we spend a lot of time with with our kids, I’ve got three kids: 16,19 and 21 so we enjoy that kind of thing but I don’t have as much free time as I’d like to right now. Paul: But you’re enjoying the challenge of building this new business, you know, I think that when you’re at that early stage it’s so exciting that like you say you’re waking up in the night, you’re making notes, it’s not a problem at all, It sounds great and I need to check this out. Peter: Yeah great I hope you do. Paul: Thanks very much for your time Peter, I really liked talking to you.